getting sick when I was close to my own stinky bed. I don't like getting sick, but at least when I did get sick, it wasn't when I was out gallivanting away from home. my friends from the piggery: Justinne of Babe for Food and Brennan of Baktin Corporation. Pigging out is not something I am ashamed to do with you! the people who sent me emails to ask questions, to ask for recommendations (making me feel like a fake expert), and to send words of appreciation. Your emails made my day. the readers of this blog. Thank you, thank you, thank you. All the hours and sweat (it is warm in the corner of the room where I have my PC... uh, yeah, I don't have a laptop.) I have spent on this blog weren't for naught because of you guys! 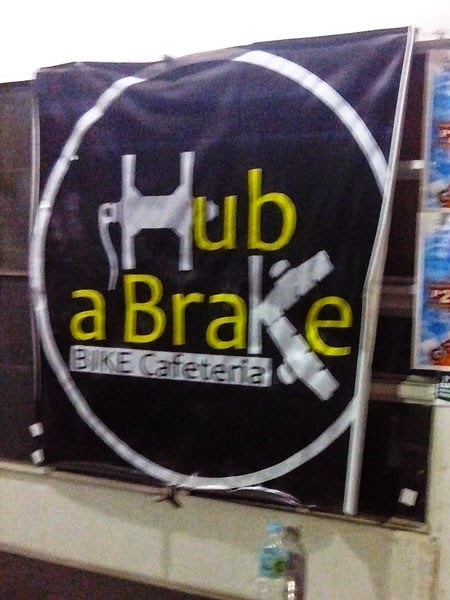 Have a break from biking. Let's Have a Lechon Party with Tatang! Christmas Season is almost over and, unfortunately (or miraculously), I haven't had any lechon at all! Anyone want to throw a party with me before the year ends? 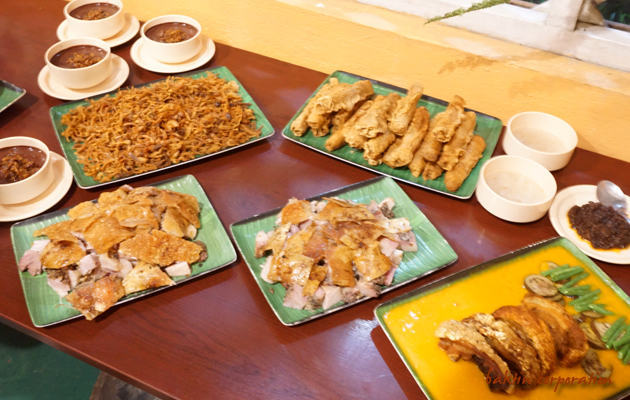 Tatang's Extra Crispy Boneless Cebu Lechon has party packages good for 8 to 10 persons. Or if we reach 40 persons, we can have the Lechon Wrap and Lechon Station (Php 7900, good for 40 pax) instead! I can just taste the spicy lechon and hear the delicious crunch of its skin. And the lechon flakes...ahhh, I can munch on it right about now. And the lip–smacking peanut–buttery lechon kare–kare. 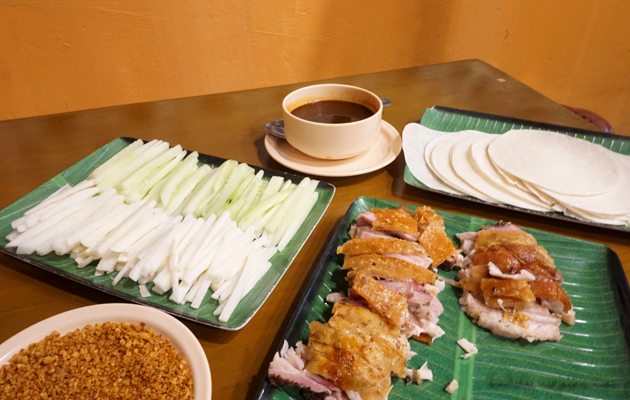 And the lechon wrap which reminds me of Peking duck (which reminded me of lechon the first time I tried it!). Nom nom nom, lechon everything!!! Come on, friends, let's have a lechon party! But let us not invite our doctors. We will surely get a talking to! Note: Party packages should be booked at least a day in advance, while the lechon wrap and lechon station should be booked at least four days in advance. What's Baking in Marissa's Kitchen? 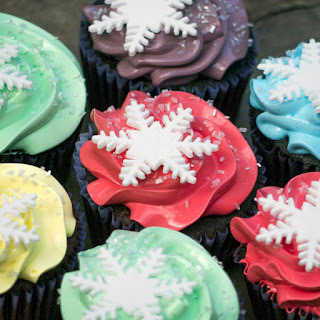 If I knew how to bake, I would invite all of you, my friends, to Mustachio's Kitchen. Since I only know how to burn a cheese sandwich in an oven toaster, let's just go over to Marissa's Kitchen in Talamban for some proper baked goodies. I have always loved Mrs Marissa Unchuan's (yes, the wedding cake maker extraordinaire) classic silvanas and, back when her baking venture was just home–based, would occasionally and, though anyone was welcome to do so, timidly pop over to Mrs Unchuan's house to buy a pack. Since she opened Marissa's Kitchen in Talamban a few weeks ago, I can now confidently march in and tow friends along without worrying about disturbing her home to buy a pack of classic silvanas. And more. It was here that I discovered she created more than just wedding cakes and silvanas. Marissa's Kitchen has readily available goodies for walk–in customers: classic silvanas, polvoron, lenguas de gato, oatmeal thins, tostados, choco krunch, and 6" cakes. 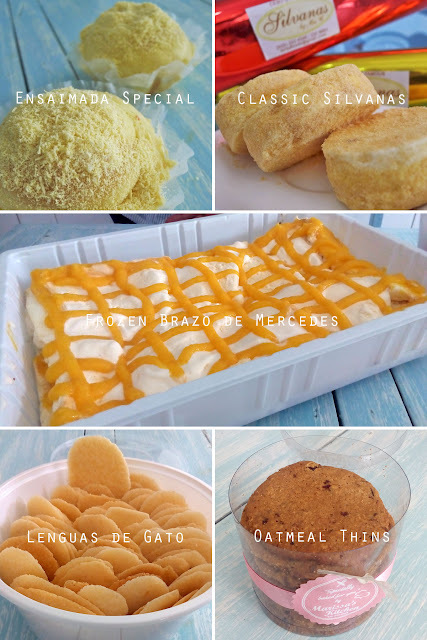 Silvanas, if one pack will make your blood sugar skyrocket, can be bought per piece for Php 20, and cakes can be sampled by slice (around Php 55 per slice) and paired with coffee. The rest would have to be pre–ordered. I haven't dug my teeth through all her goodies, but from what I have tried—classic silvanas, chocolate cupcakes, black forest cake, ensaimada special, frozen brazo de mercedes, lenguas de gato, and oatmeal thins—not one disappointed me. 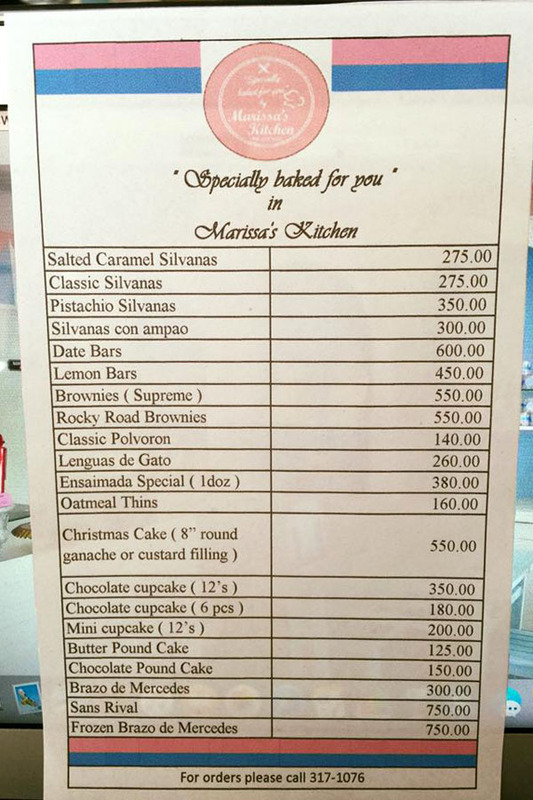 (My favorites would have to be the classic silvanas, ensaimada special, and frozen brazo de mercedes.) Only the scales groaned in disappointment under my weight after eating all these goodies. 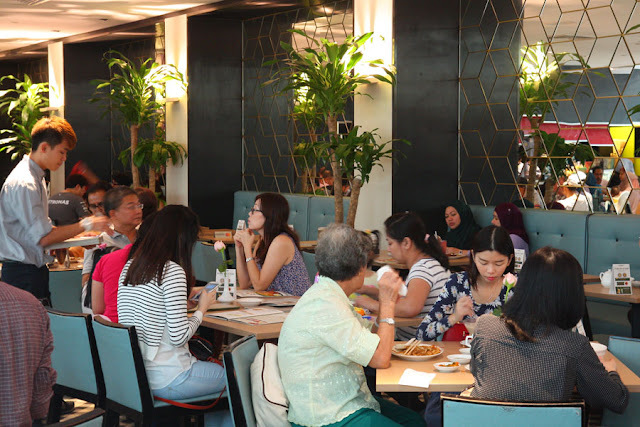 There were two places in Suria KLCC that came highly recommended that we just had to try them. The receptionist of Orange Pekoe Guesthouse excitedly told us to have lunch at Madam Kwan's for some authentic Malaysian fare, and my officemate, who visited Kuala Lumpur months before me, droolingly and envyingly suggested to try the mille crepes of Humble Beginnings. When we arrived at Madam Kwan's it was peak lunch hour, almost all the seats were taken, and, if my observation was right, almost all the customers were locals. This must be a really good place then. I ordered Nasi Bojari™ (MYR 24.90) because of the trademark and the "Madam" in the description: Madam's tri–colored rice with assam prawns, beef rendang, and deep fried chicken drumstick. I was disappointed with my almost Php 275 equivalent (not including tax and service fee!) Nasi Bojari — it was only a dollop of rendang, two pieces of assam (tamarind) prawns, and the fried chicken was, well, like any other fried chicken. Good thing we had ordered other dishes from their "From the 'Wok'" menu: claypot seafood beancurd (MYR 25.90) and Hong Kong Kailan with garlic (MYR 18.90). Without knowing it, we had partly taken heed the advice printed in their "From the 'Wok'" menu: "When in doubt, order at least two veggie dishes and a meat dish." Good advice. Humble Beginnings has 18 flavors of mille crepe to choose from but after our lunch at Madam Kwan's we only had space for two slices. We chose French vanilla (their bestseller) and Nutella banana (because I am nuts for Nutella) for MYR 10.90 each. Humble Beginnings' mille crepe contains not a thousand ("mille") layers but just 20 layers with cream and vanilla in between. Which was just as well—it would have been difficult to eat a thousand layers. 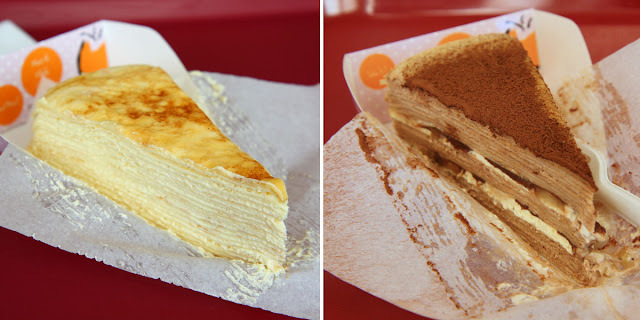 The top of the French vanilla mille crepe had a thin caramelized coating. The Nutella banana had two layers with bananas and Nutella and the top was dusted with chocolate. Humble Beginnings' mille crepes weren't as lovely and their crepe layers weren't as thin as the mille crepes from Nadeje in Melaka, but Humble Beginnings' mille crepes satisfied our mille crepe cravings (besides, pretty food still turns into mush inside the stomach). The second time we were in Kuala Lumpur, we let our stomachs decide where we would eat sleep. It picked Orange Pekoe Guesthouse because...it's a fruit! 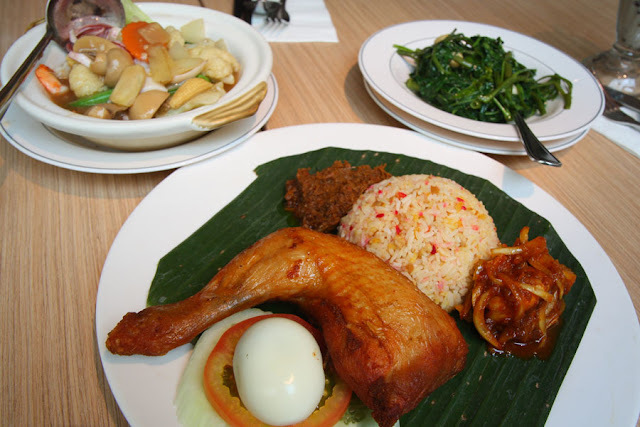 Plus—and this is a big plus—it's just a 5–minute walk from the delicious smells of Jalan Alor, the food street. I repeat: Jalan Alor, where all the delicious food is, is just a 5–minute walk away. Raja Chulan Station is also just a 5–minute walk away. Take the Airport Coach/Bus (10 MYR, 1 hour) to KL Sentral Station. From KL Sentral Station, take the monorail to Raja Chulan Station (2.10 MYR, 20 minutes), and then walk about 5 minutes to the guesthouse. Take the KLIA Ekspres Train (35 MYR, 30 minutes) to KL Sentral Station. From KL Sentral Station, take the monorail to Raja Chulan Station (2.10 MYR, 20 minutes), and then walk about 5 minutes to the guesthouse. Take the Airport Coach/Bus or KLIA Ekspres Tain to KL Sentral Station. 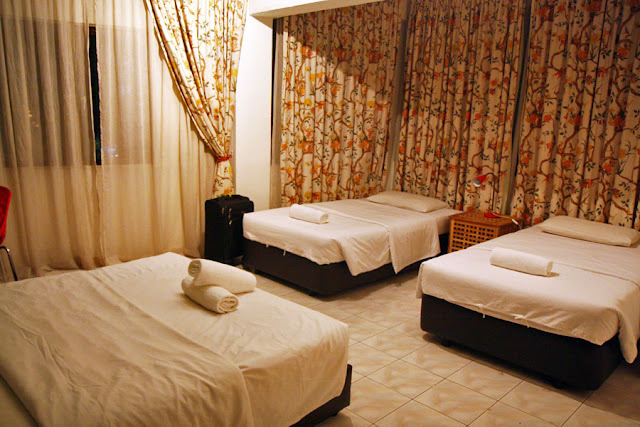 From KL Sentral Station, take a taxi (about 15 MYR, 15 minutes) to the guesthouse. Take a taxi (105 MYR, 1 hour and 15 minutes) straight to the guesthouse. The guesthouse is clean and cozy. The staff are friendly and helpful. They can assist in getting a taxi, suggest places to see, and restaurants to try. 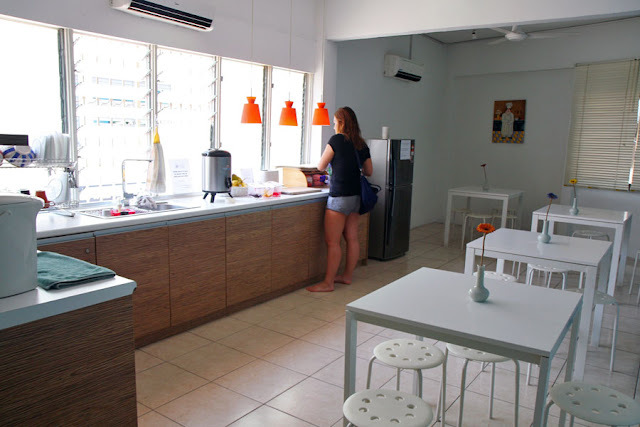 There's complimentary breakfast of cereals, bread and butter or jam, coffee, and tea. They allowed us to leave our bags at the reception area when we had to checkout at noon but didn't have to go to the airport until late night. There are restaurants, bars, and convenience stores nearby. There is a GoKL bus stop 300 meters (5 minutes by foot) from Orange Pekoe Guesthouse. GoKL is a free bus service to the central business district of Kuala Lumpur. Some lines pass by tourist spots like Dataran Merdeka or Merdeka Square, Petronas Twin Towers, and KL Tower. We arrived in Beijing Capital International Airport tired, sleepy, and four hours late. It was at least two hours until the first bus out to downtown. We just wanted to get to the hostel and sleep. I followed my friend out of the airport to the taxi stand. The first cab guy showed us a card listing down the rates: 450 to 580 RMB for our destination. We said no. (We had already been informed by the hostel personnel that it would only cost around 130 RMB by meter.) As I was telling my friend that we should go back inside the airport and ask around, another guy approached us saying that his is a metered taxi. He put our bags into the trunk and we got in. Once in, I checked if there was a meter, but there was none. He was busy getting something on his left side, then turned to the right and connected that something to some wires. After some seconds of tinkering, he showed us his "meter." I had a bad feeling about it and wanted to get out of the taxi and get our bags from the trunk, but was stupidly too tired to persuade my friend. True enough, it was a scam. His "meter" ran up to more than 300 (and on the way, when we passed a toll booth, he said that toll is 80 RMB). He did take us to our destination but stopped a few meters away from our hostel. It was a little after 4AM and the street was deserted. There was nothing else we could do, but pay up. Lessons learn: Trust your gut feel. Walk away when you can. If you have failed to do so (like we had), learn from it, but don't let it ruin the rest of your day (and the rest of your vacation).